So glad I had a chance to play along with the technique lovers challenge on SCS today. The challenge was to emboss on vellum, either dry emboss or heat emboss. 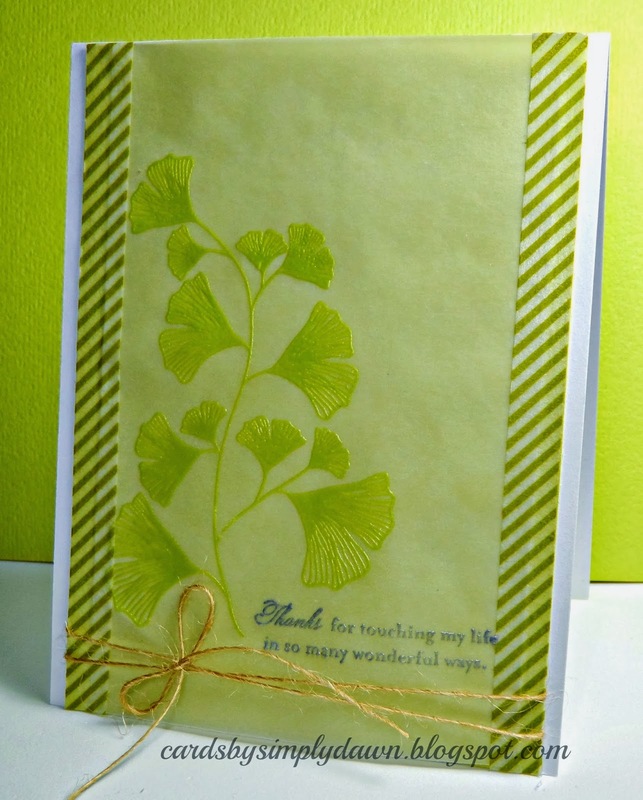 I chose to heat emboss a stamp from harvest berries by PTI using grass ink and clear embossing powder. 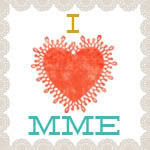 I also heat embossed my sentiment by Amuse. Please excuse the bad photo. The colors are really off. I couldn't seem to fix them. The embossed panel is adhered to a spring moss panel with washi tape. I love using vellum but find it very challenging to adhere as it is very unforgiving as far as adhesive goes. In hind sight, I should have used a darker cardstock under the vellum, but spring moss was calling my name, lol! The sentiment is also heat embossed using gray flannel memento luxe ink and reads: thanks for touching my life in so many wonderful ways. Thanks for looking! We have another snow day here in Virginia tomorrow, so hopefully I can play along with more challenges!! Have a great night!